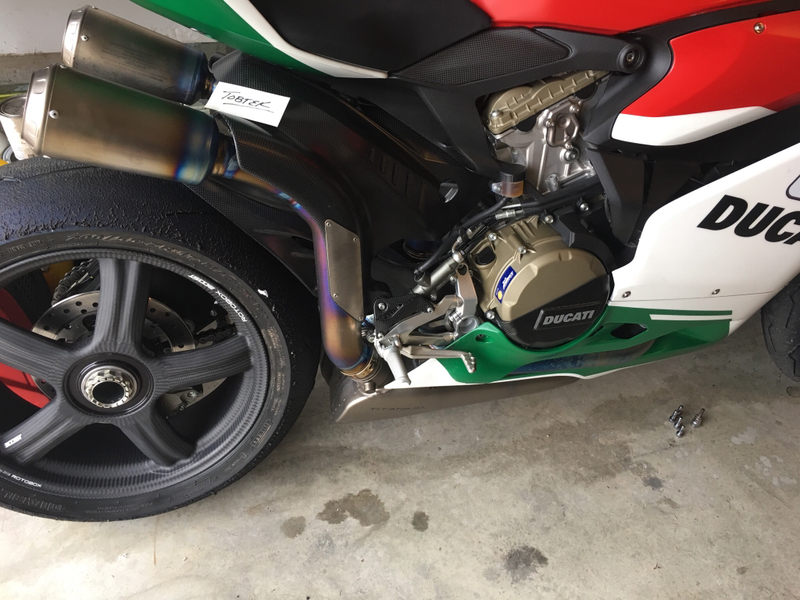 For Sale: FE WSK OEM exhaust system. 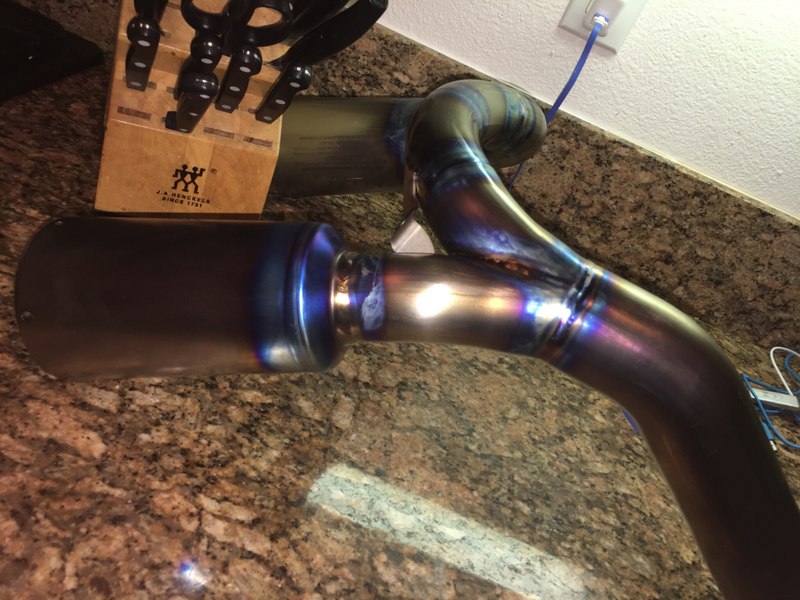 FE WSK OEM exhaust system. 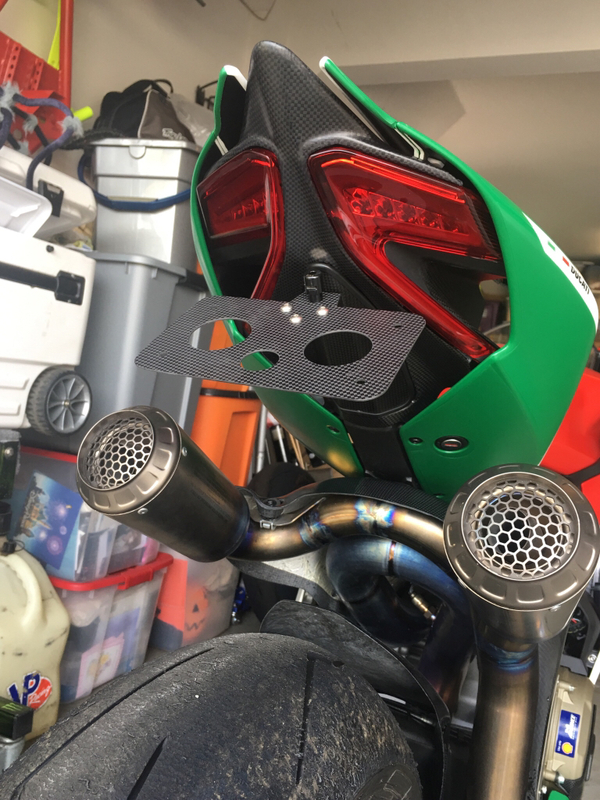 Looking to sell the OEM Akra Titanium WSB system. Complete with carbon fiber heat shield. I’ve stripped the Akra logo’s off the cans, and have blued the welds. 2999.00 complete. Shipped in where in the lower 48 states. Better look at the bluing. Would like to put on an 1199S TRI. 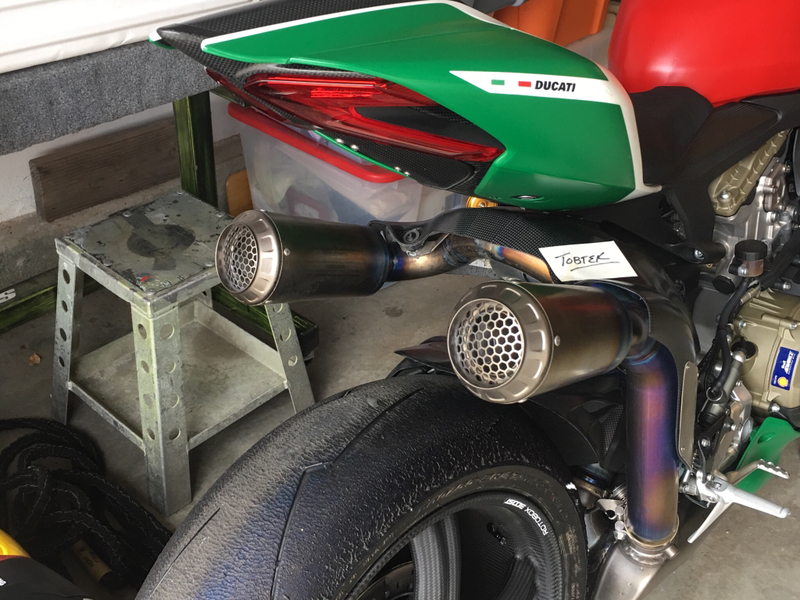 Is this the Euro 4 restricted exhaust? Yes. This is the stock Final Edition Akra. Not the full race system. The full system is apx 6000.00 U.S. 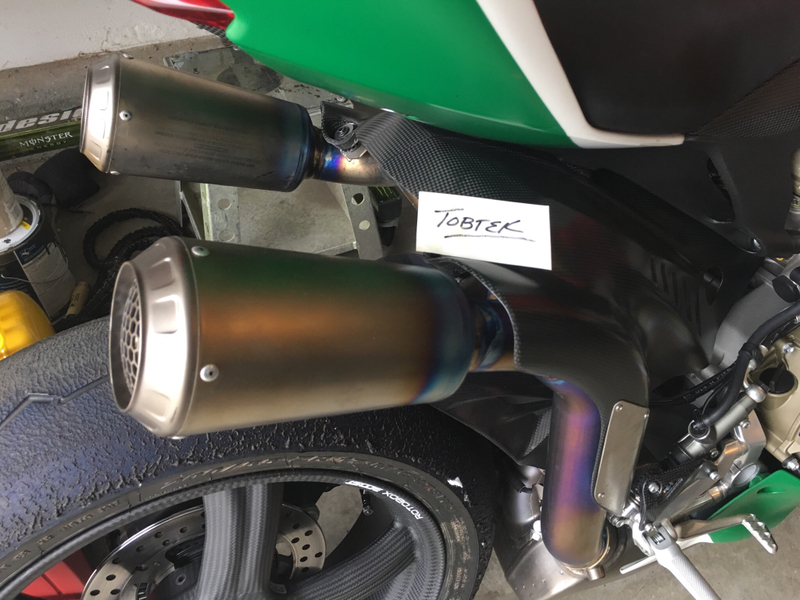 If you ride Laguna Seca (90db max) you can ride full throttle up the hill past the sound booth with this exhaust without getting meatballed. Where did you get that bracket for your tag?